officials and the government in a now viral video. 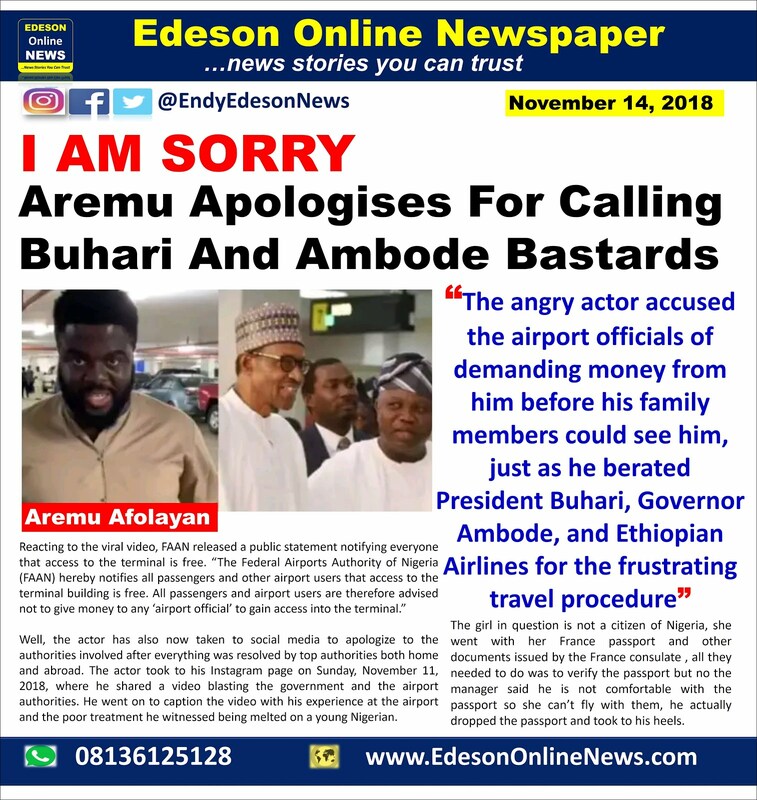 Akinwunmi Ambode, and Ethiopian Airlines for the frustrating travel procedure. everything was resolved by top authorities both home and abroad. 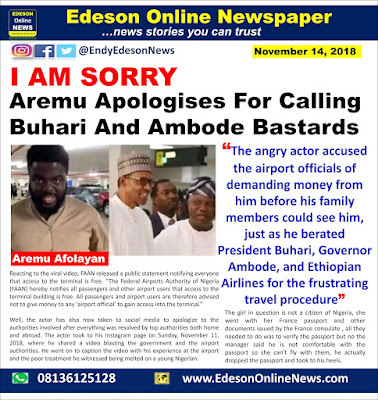 You may recall that the actor took to his Instagram page on Sunday, November 11, 2018, where he shared a video blasting the government and the airport authorities. He went on to caption the video with his experience at the airport and the poor treatment he witnessed being melted on a young Nigerian. she can’t fly with them, he actually dropped the passport and took to his heels. away from their country. Until you have no one to governor be a president over before you know. LONG LIVE SCARED NIGERIANS,” he concluded. He should sha be careful... He rants unnecessarily... To eliminate him is not gng to be hard, trust me.. Intelligent people are always in control of not only their tongues but also their senses. In today's Nigeria, the fear of DSS is the beginning of wisdom since the "security" of the nation supersedes the freedom of any citizen. Did things turn around, no one told me. When did people start apologising for saying the truth? The guy did not conduct himself appropriately and his reactionary tantrum yield s nothing. Just because you are a victim and popular does not give you the right to castigate everyone in a basket. Nigeria is greater than everyone of us and shall outlive us all. Be modest in your reactions. Good he apologized but his complaints aren't false. If anyone has been in these situations, you'll understand how he feels. I've been there. It's very frustrating and to know that it's happening as a result of corrupt practices is what makes it more annoying.